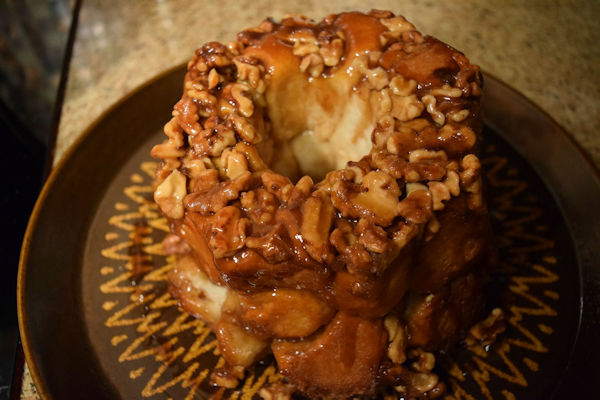 Monkey Bread| Monkey Bread with cream cheese and pecans kicks up a traditional breakfast. Monkey Bread is an easy recipe that delights young and old. I distinctly remember the first time I tried Monkey Bread. It was in the late 1980’s when I was teaching middle school. The counselor brought this magical treat to our breakfast goodie table and I hounded her for days to share recipe. I had never eaten pull-apart bread before and I laughed at the image of me picking apart the pieces like a monkey picking at fleas. I’m not sure if that is the true reference for the name but that was what I imagined as I pulled off one bite after another. I like the addition of cream cheese and pecans to the original Monkey Bread. 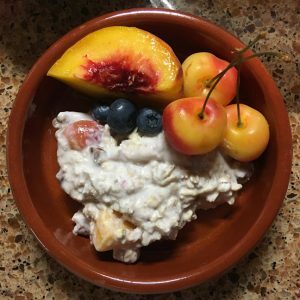 The recipe takes a little longer to assemble but it is well worth the time. Score the cream cheese first into 40 pieces. This ensures that each piece of dough gets a little nugget of cream cheese inside. 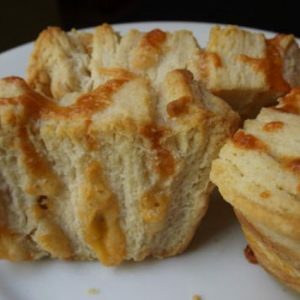 I have seen some recipes that don’t cut the biscuits into fourths and simply wrap an entire biscuit around a larger piece of cream cheese. I’m telling you now to resist the urge to go big. The tiny little nuggets of sugar crusted dough with the soft cream cheese insides are simply delicious in their diminutive form. Another reason I love Monkey Bread is that it is very easily adapted to ingredients on hand. Toss in some dried cranberries or some raisins. Think about embellishing with almonds or dump in a bag of chocolate chips. Another interesting variation includes skipping the sugar altogether and making Parmesan garlic Monkey Bread. 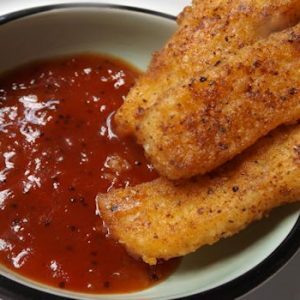 Because this recipe is easily doubled and very versatile, you will have fun trying a new versions. Whatever you make, I’m sure it will be tasty. But probably not as tasty as the first time I encountered this recipe in the late 1980’s with my big hair, layers of junky jewelry, shoulder pads, blue mascara, Candie’s shoes and best of all, parachute pants. Who can forget these time-tested fashion pieces? I haven’t forgotten my clothes or the treats from the middle school goodie table either. Grease a Bundt pan or Monkey Bread Dish. 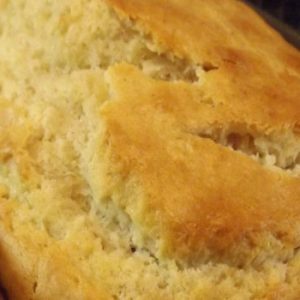 Open biscuits and slice each into fourths. 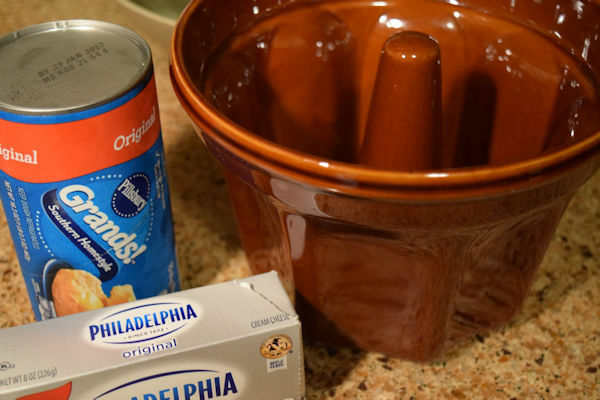 Score the cream cheese into 40 pieces – about 1/2 teaspoon. Mix together the cinnamon and sugar; set aside. Heat the butter and brown sugar; keep warm. Take a piece of the biscuit dough and press it larger with your fingers. Sprinkle with cinnamon sugar. 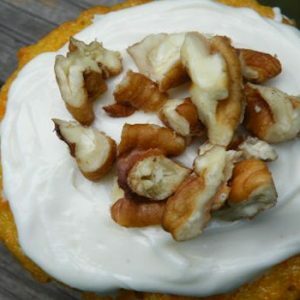 Place a piece of cream cheese in the center and wrap and seal the dough around the cream cheese. Roll in sugar mixture. Repeat with remaining dough. To assemble – place 1/3 of the nuts in the dish, top with 1/2 of the dough pieces, 1/2 of the butter mixture, and sprinkle with 1/2 half of the remaining sugar mixture. Repeat layers ending with nuts on the top. Bake for 30 – 45 minutes. Test for doneness by looking down into the biscuit balls and making sure the middle layers are cooked through and not gummy. When done, remove from the oven and let sit for 5 minutes. Place a plate on top and invert. Recipe can be doubled.